Интересный Немецкий Лэйбл, выпускает записи Fusion, Funk-Jazz, Jazz-Rock. Цена на диски вполне доступна (ориентировочно 14-15у.е. в Москве). Диски характеризует отличное качество звучания и оригинальный фирменный дизайн. As one of New York's most established keyboarders and producers, Jim Beard has toured worldwide with Pat Metheny (in 1992), John McLaughlin (1986), Wayne Shorter (1986 - 87) and John Scofield among others and composed songs for most of these people. He also worked with saxophonist Bill Evans, bassman Dieter Ilg on the LIpstick-album "Summerhill" and both Michael and Randy Brecker. 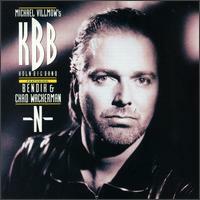 He is also one of the top producers in jazz today - and two of the albums he produced have been nominated for the "Grammy Awards": "Back Roads" by Bob Berg (1993) and "Is What It Is" by Mike Stern (1994). This set by bassist Alain Caron puts the emphasis on his bass solos and electronics, although he utilizes a full jazz combo. Trombone, composer; As a sideman, Michael Davis has worked for the Buddy Rich Band, Woody Herman and Paul Anka as well as Paul Simon, Aretha Franklin, Bob Dylan, Eddie Brickell, Sergio Mendez and jazz stars Branford Marsalis, Tony Bennett, Terence Blanchard, Bob Mintzer, Jonathan Butler and Harry Connick Jr. His most current job is with the Rolling Stones. He is performing with them for their worldwide "Voodoo Lounge" tour. He is one of the most popular trombonists in the USA today. Bassist Mark Egan and drummer Danny Gottlieb have been longtime friends, starting with their days at the University of Miami in the early '70s and continuing during their period with Pat Metheny (Egan was in the guitarist's group from 1978-1980, while Gottlieb stayed until 1983). They formed Elements in 1982, which, from its start, also included Bill Evans on soprano and tenor and keyboardist Clifford Carter; guitarist Steve Khan, keyboardist Gil Goldstein, several percussionists, saxophonist David Mann, and other players have been guests. Their music (documented on Philo, Antilles, Hip Pocket, Novus, GRP, Bluemoon, and Wavetone) is a quiet and thoughtful form of fusion, filled with subtle creativity. A live recording with cuts from two concerts in Germany, it was recorded live to 24-track and later remixed for an amazing sound quality for a live album. Saxophones, flute, keyboards, composer; Live with his group PUSH at the "Rheinart" rock and pop festival in summer of 1995 in Germany. Saxophonist Bill Evans (switching between tenor and soprano) plays creative jazz-funk on five selections with plenty of heated solos and strong support from a rhythm section including guitarist Gary Poulson and keyboardist Charles Blenzig. If the whole recording were of that quality, this set would be close to essential. Unfortunately Evans then "welcomes" rapper KC Flight to four other numbers and his monotonous talking and shouting are annoying in the extreme, essentially ruining those performances. His gifts include singing, and proficiency on both keyboards and the saxophone. He's performed all over the world working with Roy Ayers, Stuff, Brand New Heavies, Phyllis Hyman, and Jocelyn Brown (the disco diva). Ray and Jocelyn are cousins, his sister, Barbara Gaskin sang with. Ecstacy, Pain & Passion. Guitar Player Magazine has published an article by Jane Getter about improvisation. Due to some people at Fender hearing her album, she is also now sponsored by Fender guitars and has just received a special guitar made to her specs by Fender. It is a special Strat with several adjustment to her personal taste. In the summer of 2000 she will also appear with Rachel Z. and Ursula Dudziak at some european jazz festivals. The musical concept of the band is very straight-forward: the energy and virtuosity of progressive rock combined with jazz harmonies and funk rhythms. This is the first electric funky album of the drummer/composer. Keyboarder Adam Holzman is one of the most innovative musicians of the 90s. The musicians magazine "Keyboards" named him one of the top 10 players of his instrument, "Down Beat" lauded his "killer groove" and compared him to Jan Hammer - and even the "New York Times" and the "Washington Post" praised his live shows. Bassist Dieter ILG is the nominal leader on this '91 session, but it is guitarist Mike Stern and tenor saxophonist Bob Berg who are in the forefront. Dave Weckl is one of fusion's most acclaimed drummers, making his name during a six-year stint with Chick Corea. Weckl was born in St. Louis and grew up listening to soul and jazz; he received his first drum set at age eight and developed his playing by listening to drummers like Buddy Rich, as well as R&B grooves. He majored in jazz at the University of Bridgeport, but left after two years to become involved in the New York jazz scene, also touring Europe with various bands. Weckl joined a fusion group called Nitesprite, where he attracted the attention of drummer Peter Erskine; Erskine helped him get a gig with French Toast, a band also featuring pianist Michel Camilo and bassist Anthony Jackson. This German fusion power trio is comprised of guitarist Stefan Ivan Schefer, bassist Christoph Victor Kaiser, and drummer Thomas Lui Ludwig, all of whom are highly skilled, powerful musicians. Recorded in 1996, 3 on the Floor does them justice with high-quality production and a set of challenging, energetic compositions. Many smooth jazz artists view song titles as an afterthought, so it's refreshing to see guitarist Chuck Loeb play a romantic connect the dots with the names of the nine originals. Multi-instrumentalist Andrea Marcelli, who was born in Italy and usually lives in Los Angeles when he is not busy touring. Originally a classical clarinetist, he soon switched to the drumset. Of course he is also a decent keyboarder/pianist. His compositional style combines influences from all kinds of music - and definetely does not get boring. He has worked for Mike Mainieri and Steps Ahead as well as for many famous fusion groups - both as a drummer and clarinettist. The album is a collaboration with german pianist and keyboarder Mike Herting (who produced pop-groups like "Fritz Brause" and "Trio Rio") and german-chinese guitarist Paul Shigihara. The album got enthusiastic reviews by several german reviewers of classical music, but was strongly opposed by many traditionalist jazz critics. The album is not based on improvisation, but on re-arrangments and re-instrumentation of the traditional compositions. Saxophone, nagaswaram; Charlie Mariano is one of the last living musicians from the bebop era. He started performing professionally in 1941 with a showband in the Boston area. From this time he constantly worked until today. Centers on Rock, with some jazz influences. 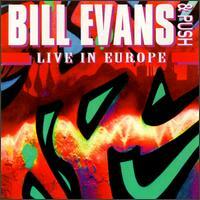 Includes recordings of the Rome, Italy concert and with Randy Brecker. Featuring Thomas D. of "Die fantastischen 4"
German group MATALEX is mainly an instrumental rock group, even though the bandleaders Alex Gunia (guitars) and Matthias Kraus (keyboards) have a lot of experience in Jazz and studied at Berklee College of Music (Boston) in the late 1980s. Saxophones, clarinet, keyboards. His style combines latin and funk with jazz improvisations. Main work before solo career: Dionne Warwick , Airto & Flora Purim, Jeff Lorber. Guitarist Alex Merck graduated from Berklee College of Music, Boston, and has recorded and toured with Raoul de Souza, Kay Eckhard de Camargo and many others. He also composed several film-scores and a collection of songs for crime- and horror scenes in TV-movies, which was used by countless productions. He has also been a guest-speaker on many conventions (IIR, Jazztimes-Convention, Musica etc.) and occassionally contributes articles to music and computer magazines, specialising on economic, computer (mainly Apple Mac) and Internet issues. 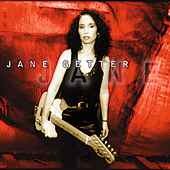 The band was founded in spring 1994 by Chuck Loeb and Mitchel Forman, who have dreamed of starting their own cooperative band project for over 20 years since they worked together for Stan Getz. Performing live in spring of 1996 in Germany ,Austria and other European countries. Imagine having talent like Michael Brecker, Bob Berg and Dave Samuels on board, then not giving them enough room to stretch out. 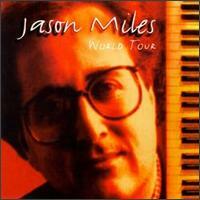 That's exactly what happens on electric keyboardist Jason Miles' "World Tour" a sometimes radio-friendly jazz/pop/R&B album that overall, is marred by an excess of production and a shortage of improvisation. Drummer Idris Muhammad was one of the main influences on the acid-jazz scene of the 90s - his drum grooves were probably the most sampled and copied rhythms for the style, since they perfectly fit the dancefloor needs for funky broken rhythms. The musicians on this album include the steady live band with Wendell Brooks (sax), Jimmy Earl (bass), Andy Timmons (guit.) und Jeff Babko (keyboards) - with some special friends contributing on a few songs: Anthony Jackson (bass on some tunes), Pete Escovedo (percussion) and co-producer / guitarist Ray Russell. Simon Phillips is one of the worlds most reknowned and respected drummers today. Born in London, England, Simon's professional career began at the early age of twelve, when he started performing and recording with his fathers dixieland-style band until he turned sixteen. He went on to work for Pete Townsend, Mick Jagger, Stanley Clarke and many others and became a member of Toto. The album is original in its style - but picks up where the jazzrock of Mahavishnu Orchestra left off - building on the linear melodic traditions and often odd meters combined with the pure energy of rock - but integrating new influences as well as bringing a saxophone into the explosive mix. Vocalist Sabine Reimer and bassman Markus Setzer are both busy members of the german musicians community. Their own project is somewhere between pop and vocal jazz - song and content oriented while at the same time superb musically. 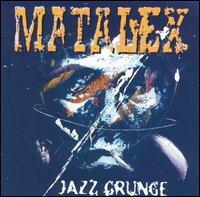 Musically this album is a mixture of rock and jazz-rock - with some latin elements added. 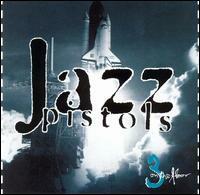 The music integrates bebop, latin and rock influences. On the new album many tunes were influenced by Richmans work in film scoring - and two new recordings of classic compositions. Founded by guitarist Richard S. and bassman Kai Eckhardt de Camargo, the VIBE TRIBE is a transatlantic group combining funk, jazz, world-music into their own mix. Devon Soles plays saxophone - with a very smooth and rounded personal sound. "Like One" is the first album Leni Stern recorded with a constant group, which was her band for a tour of Europe in 1993. Guitar, Vocals, Composer; Leni Stern originally started her career as an actress for several theatre groups and TV-shows before she started studying music. She had been playing piano and guitar even as a kid, but decided to become a professional relatively late. She has recorded six solo albums so far and written a book on jazz composition. She is also the only guitarist invited by a keyboard magazine to write a regular column on composition. Her compositional style is highly individual and combines neo-bebop with funk rhythms. She also plays slide guitar and has started singing late in 1994. 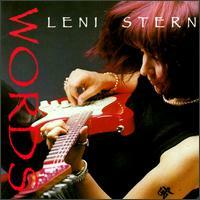 "Words" is Leni's seventh album - but her debut as a singer. Bassman Carlos Vega is one of the top sidemen of the San Francisco area. His career began when he was hired by Sly Stone for the famous group "Sly and The family Stone". Since then he has worked for countless top-stars including Etta James, Kitaro, Santana, Bob Weir (Grateful Dead), Ronnie laws, Narada, Starship, Joan Baez to name but a few. He has also composed film scores - includign "One From The Heart" for Francis Ford Coppola - and the soundtrack for the SEGA-videogame "Sonic hedgehog III". Ethno-funk-jazz group Vibe Tribe has gone through some changes. Of course founding members Kai Eckhard de Camargo (bass) and Munjungo Jackson (percussion) are still with the group, but the ethnic influences have been broadend. German saxophonist Reiner Witzel (tenor and soprano , flute) has lived in New York for several years, where he recorded and played live with Defunct and many others - but he has also toured Africa, where he worked with Fela Kuti among others. In Germany he is also a sought after session musician and has appeared as the main male lead actor in the touring musical "Der Zauberwald" and has in supporting roles in several TV shows. On his album "Perceptions" (his first for Lipstick) he combines many music influences - in his own, very melodic funky style and with a great group of musicians under the name Witzels Venue.